Welcome to Hayward Bros. (Wines) Ltd.
Bodega Raffy is the realisation of a family dream: finding a fantastic terroir in a breathtaking region, building a winery from the ground up, and making world-class Malbec wines. The vineyard is adjacent to the Andes Mountain Range, in the Province of Mendoza, 3500-feet altitude, just below the Tupungato Volcano which gives its name to the village. Tupungato is the highest area of the Uco Valley and the point of departure of the Wine Route, along which some of Argentina’s most famous bodegas have set foot, due to the very high quality of the soil and grapes. Beside its own 8.5-hectare vineyard planted with Malbec, Bodega Raffy also manages some high quality parcels of old vines in neighbouring properties. Protected from wet weather by the Andes Mountain Range, the Malbec varietal finds on the sandy soils of Tupungato the dry climate and the constant sunlight that it needs to reach its full phenolic maturity. It also benefits from the perfect thermal amplitude it needs (cool at night and hot during the day) to achieve a great balance between maturity and freshness. Our Bodega has voluntarily limited its maximum capacity to 100,000 bottles for the moment, in order to work with the best quality grapes and produce a well-crafted wine.  For a perfect extraction of its tannins, Bodega Raffy uses the délestage technique, and ages all its wines in French oak barrels, with new oak for its Réserve and Grande Réserve. Under the supervision of Marcelo Pelleriti, Bodega Raffy has the ambition to allow Argentinian Malbec to reveal its fullest potential. We therefore cultivate grapes following sensible agricultural methods, with low yields, in order to produce excellent cuvées, made using French oak exclusively. We specialise in importing a comprehensive range of wines from around the world, from table wine to fine wine. 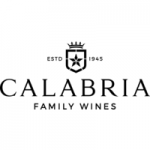 We are exclusive agents in the UK market and Duty Free Retail sector for a number of strong, innovative, value-for-money brands, as well as more traditional domaines and estates. Additionally, we are renowned for competitive Bordeaux En Primeur offers. We specialise in importing a comprehensive range of wines from around the world, from table wine to fine wine. We are exclusive agents in the UK market and Duty Free Retail sector for a number of strong, innovative, value-for-money brands, as well as more traditional domaines and estates. Additionally, we are renowned for competitive Bordeaux En Primeur offers. Signing up enables us to keep you up to date with our latest news and offers.